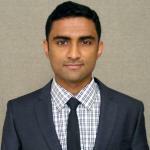 Nikhil Joseph is a Master of Arts in Law & Diplomacy (MALD) Candidate at the Fletcher School, Tufts University, and expects to graduate in May 2014. His areas of study are international business and monetary policy. Prior to Fletcher, Nikhil worked with Gray Matters Capital, a leading impact investment fund in India, where he served as a consultant to one of its investments, an education finance firm, helping formulate its expansion strategy in the affordable education market. In the past, he has also worked with UNICEF in India, conducting impact evaluation on a central government funded cash transfer scheme. Nikhil holds a dual BA/MA from the Indian Institute of Technology Madras where he majored in Development Studies.